A wonderful combination of sun, beaches, impeccable cuisine and friendly people make moving to Portugal from the UK an incredibly attractive decision for many Brits. Here’s what you need to know before you make the move. 1 Why Move to Portugal? On the far western tip of Europe, serving as a gateway to both Africa and the Americas, Portugal is quite rightfully seen as one of the best places to escape the everyday drudgery and to start living life the way you want to live it. Many people choose to move to Portugal to take advantage of the warm, Mediterranean climate and proximity to glorious beaches and outstanding natural beauty. Friendly communities are open and welcoming to foreigners — although it’s best to get a handle on some Portuguese first — while the incredible food and home grown wine of the region will be many an Epicurean’s delight. Cost of living is comparatively very low, especially for those used to the rental and entertainment prices of London and other large UK cities. Housing costs are low too, and it’s relatively easy to buy a house in Portugal, thanks to transparent regulations and taxation and various residency incentives for foreigners. Portugal is definitely a relaxed country in all senses of the word — right from the market traders selling you your vegetables, all the way up to the higher echelons of government. It’s politically very stable, a member of the EU, and although the economy is stalling, generally a very ‘easy’ place to live. It’s the 5th most peaceful country in the world, and use of all common drugs has been decriminalised since 2001 (note — not the sale and distribution, however). There’s an established British community in Portugal too, so it’s easy to settle and make like-minded friends. But if you ever do feel homesick, fear not; Lisbon, Faro and Porto airports all serve low-cost flights home to the UK. 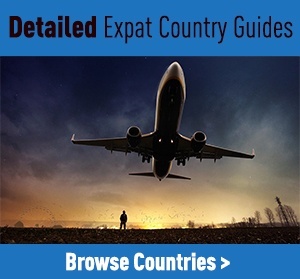 As a member of the EU, you are able to move to Portugal from the UK and stay for 3 months without registering. For people intending to stay for longer, you will need to register at your local Câmara Municipal (town hall) within 4 months of arrival. Here, you will be granted a residency certificate for 5 years or however long you intend to stay if less than 5 years. Registering will allow you to access services like social security, healthcare and education. In order to obtain this certificate, you will need to show proof that you’re either employed or self-employed in Portugal, in possession of sufficient funds to support yourself and your family, or enrolled to study in an approved institution (with sufficient funds to support yourself and your family). Once your temporary residency certificate expires, you will be able to apply for permanent residency from the Serviço de Estrangeiros e Fronteiras (Immigration). Things move a little slower in Portugal than they do in the UK, and you may be surprised at how slow some public services — including immigration — can be. After moving to Portugal, you’ll quickly discover that life here revolves around the family and community. Catholicism is widely practiced and family gatherings are characterised by plenty of food and wine. Portugal’s environment is perfect for enjoyment and exploration. Beaches and Atlantic coastline are never far away, while the climate is beautifully temperate for most of the year (November to March is likely to be colder and rainy). There are countless golf courses, and plenty of opportunities for walking amongst nature, particularly once you get away from the cities. The country has an incredibly rich history, as formerly one of the world’s most important and expansive global empires. 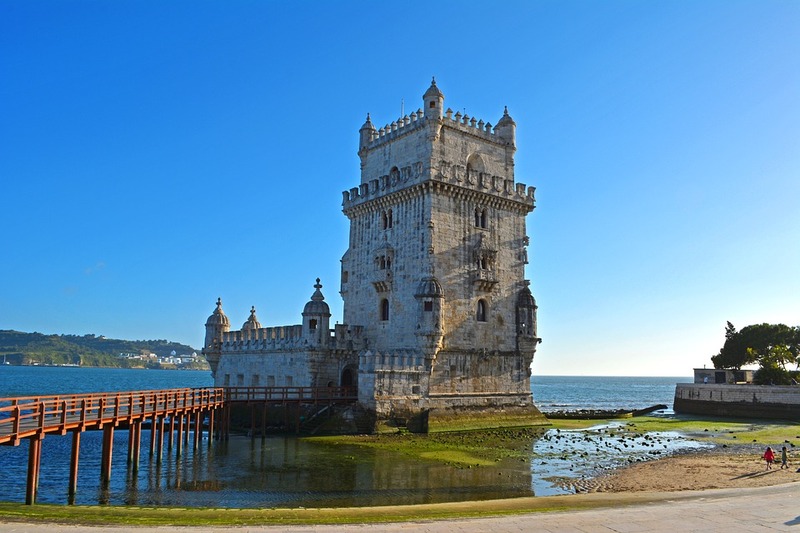 Architecture and culture abounds, particularly from the 16th Century when Portugal cemented itself as a world power. In many ways, Portugal is best for retirees — or at least those after the slow life. Younger people or those wanting to climb the career ladder will likely find the country a little inefficient and slow, with less opportunities for innovation and development than the UK. Cost of living varies hugely according to lifestyle. IF you move to Portugal and have the cash to live like a baller — beachside villa with a private swimming pool, for instance — you can certainly do that. It is possible to live very cheaply here too, however. Rental prices are generally more expensive on the Algarve and in the centre of Lisbon and Porto, although they are significantly cheaper than London and other expensive UK locations. Average rent for a one bedroom apartment in the city centre in Portugal will set you back around €435 (£364) a month, rising to €787 (£659) monthly for a three bedroom place. There’s no council tax to pay on rental properties, although if you buy a house, you will need to pay a property owner tax (comparatively less than the UK equivalent). Utility prices are around the same as you pay in the UK, although it’s likely that you’ll be replacing your heating costs for air-conditioning ones! You also have to pay for social security in Portugal, in order for you to access healthcare, education and other state services. This is priced according to income and can appear expensive — especially if you’re in good health and not requiring medical care. Public transport is cheap, with one way tickets on buses and metros starting from around €1.50 (£1.25), however driving your own car is quite costly. Even second-hand cars are very expensive compared to the UK market, and petrol is around €1.40 (£1.17) a litre. When it comes to food and entertainment, pricing again depends on your lifestyle. If you’re prepared to ‘live like a Portuguese’, buying your food from the market and drinking local wine (for only around €1.50 (£1.25) a bottle! ), then you’ll find life to be very cheap. If you rely on lots of imported goods, buy only at supermarkets, and frequent the tourist areas for restaurants and bars, however, you’ll find Portugal very expensive to live in — on a par with the UK. If you’re moving to Portugal from the UK, chances are that you’ll be keen to live in an area which is home to a few familiar faces. Here are the most popular expat areas in Portugal. Straddling the southern coast of Portugal, The Algarve — with Faro as its pseudo-capital — is one of the country’s most popular places for live, now home to around 52,000 foreigners. There’s a very well established Spanish and Irish presence here, which mixes in easily with the friendly, local Portuguese community. The beautiful scenery and beaches, year round good weather and relaxed pace of life is what makes The Algarve region so popular. Plus the 35 golf courses in the region! It’s also very easy to get around here, with motorway access into Spain, to Lisbon and Faro airport serving a number of other European hubs. The Western and Central areas of the region are the most well-developed while the Eastern section, between Faro and the Spanish border, is quieter and attracts less tourists. As the capital of Portugal, Lisbon is another popular location for Brits to bed down in, and is the place to be for people looking to work or be near the centre of industry. It’s a very beautiful city and is home to reams of wonderful restaurants and bars, as well as lots of historic sights — check out of the Alfama area if you’re interested in architecture. Situated on the South West coast, Lisbon boasts a beautiful Mediterranean climate through most of the year. As Portugal’s second city, Porto is another popular area and arguably a more beautiful alternative to Lisbon. It’s in Northern Portugal, so the climate is not quite as temperate as locations in the south, but culture and entertainment options here are second to none. The historic city centre is also a UNESCO World Heritage Site and it’s not hard to see why! It shouldn’t be hard to make friends if you’re moving to Portugal from the UK, simply because there are so many British people who already live here. We’ll be totally honest — you’re unlikely to be making your fortune from a move to Portugal. The jobs economy here is pretty stagnant — reflective of the country’s economy — and positions are scarce, particularly if you don’t speak Portuguese. Contracted jobs are akin to the holy grail, with many foreigners instead working on zero hours ‘green chit’ jobs or cash-in-hand positions in the hospitality industry. Even if you do find a job, wages are low with the average Portuguese earning around €8,500 (£7,100) a year. Your best bet is to either secure a job before you make the move — perhaps by negotiating a remote working contract with your current company, or becoming self-employed and working online. Of course, these paths aren’t suitable for many people, so make sure that you have enough savings to live off here while you search for a suitable job. The best way to secure a job with a Portuguese company is to learn Portuguese to at least a conversational level. This will open up positions within the tourism and property industries in particular. There are a few multinationals with offices in Portugal, including Accenture, Deloitte and Hewlett Packard, so it might be worth consulting about overseas opportunities with them. You should bring your European Health Insurance Card (EHIC) with you to Portugal as this allows British citizens the right to access emergency medical care during your first three months in the country. Once you’ve received your residency certificate after those 3 months, you will be given a número de utente (NHS user number) by your local health centre which will allow you to benefit from state-funded health care, including routine consultations, exams and prescriptions. The only prescriptions that are free in Portugal are those for chronic illnesses; all other must be purchased (although are subsidised) with the presentation of your número de utente. For retirees who receive a British state pension, you can enrol immediately upon your arrival in Portugal with a state GP upon presentation of your passport and Form S1, which you should get from the Department for Work and Pensions before you leave the UK. You will receive a número de utente shortly thereafter. Private healthcare is also available in Portugal although can be expensive — it’s best to take out private medical insurance if you wish to access it. Thanks to the relaxed way of life, clean and green environment, and plenty of opportunities for adventure and activities, Portugal is a lovely place to raise your children. As there’s such a large population of British families living here, you can be sure that your child will be able to make both British and Portuguese friends easily, particularly if you live in a popular area. Providing your family are legally resident in Portugal, your child will have to go to school between the ages of 6 to 16. Public school is high quality and free to attend, while there is also a good private education system in place too. Lessons are generally taught in Portuguese, which may be problematic for older children and those who aren’t bilingual. Younger children, particularly if they have gone through pre-school in Portugal, should be able to pick up the language relatively quickly — it’s a great way to expose them to the third most spoken language in the world. If that’s not suitable, however, you can enroll your child in international school, and there are a number of such institutions throughout the country. These can be very expensive, however they’ll provide your child with a high quality education taught to either the British curriculum, or the International Baccalaureate.